Fulfillment is the state of emotional satisfaction and contentment(the many and full glasses) that comes with completion and achievement. 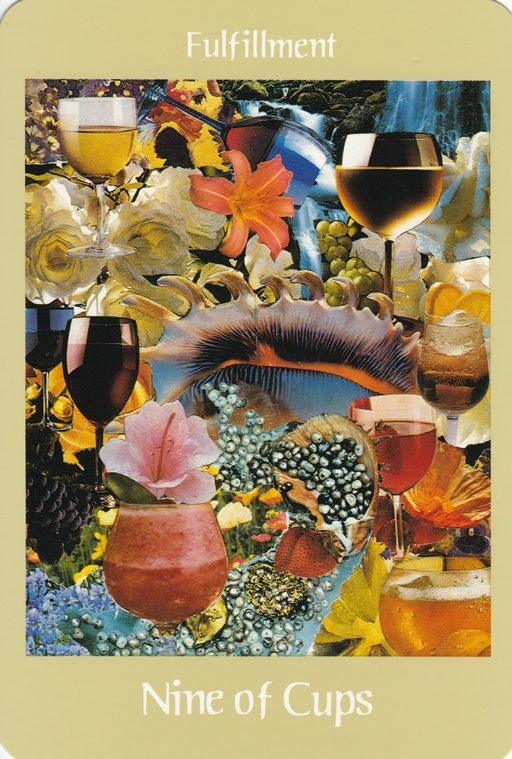 This harvest, symbolized by wine from grapes, nectar from fruit and flowers from seeds, is the result of realizing and fulfilling your inner riches and talents(the pearls within you). The drinking glasses filled with spirits are the recognition of your work and the celebration of your harvest. Drink to your achievement.Honor your success.